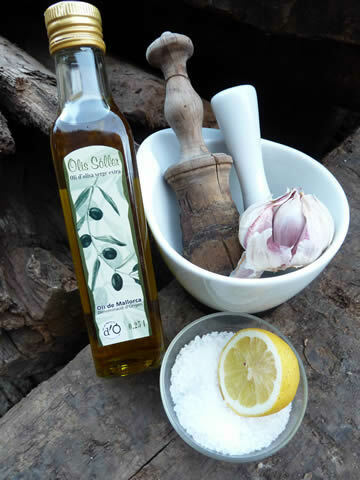 Ingredients: 5 medium cloves garlic, 1/2 teaspoon salt “fleur de sel” natural, 150 -160 ml mild, pure extra virgin olive oil. 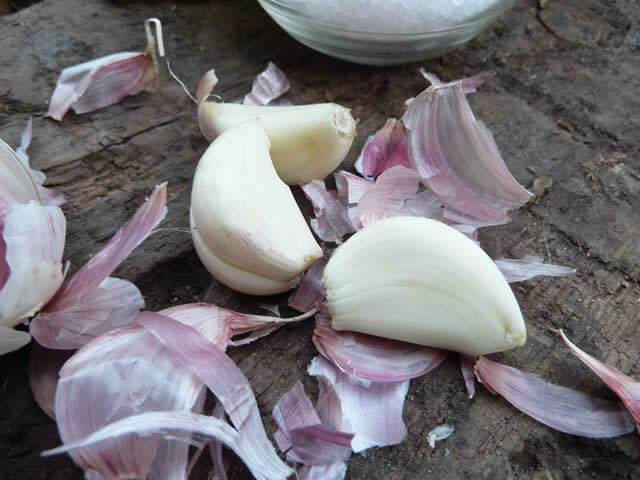 Preparation: Peel the garlic cloves, cut in half and place in a mortar. 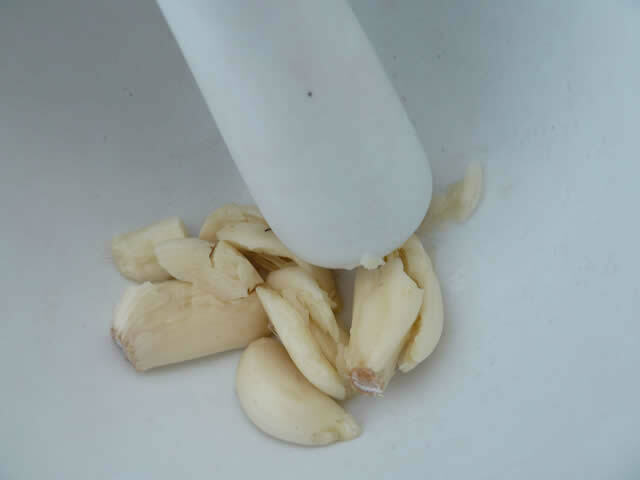 Rub the salt and the garlic with the pestle until to get a fine paste. 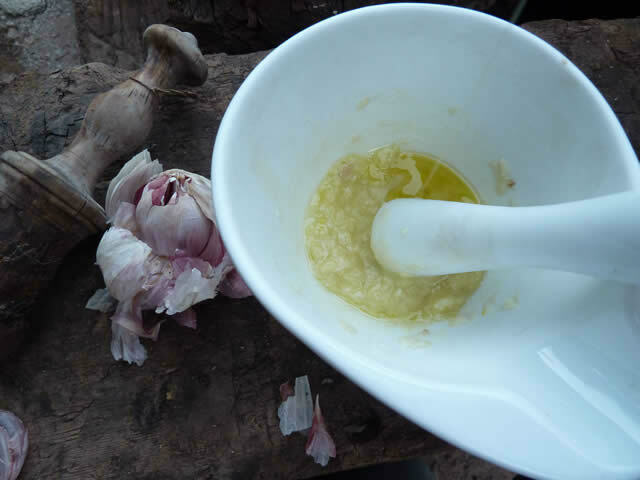 Then run the oil slowly in a very thin stream, while constantly stirring until the paste has a buttery, creamy consistency. Serve it immediately. 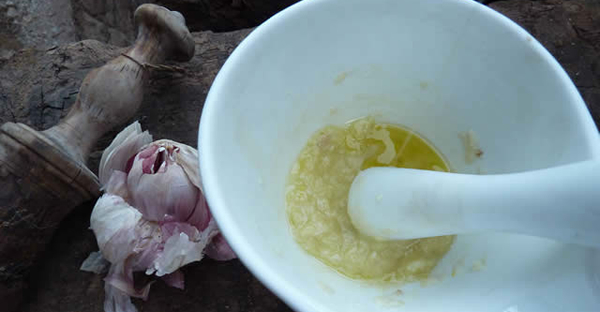 Adding a boiled potato gets more consistency.